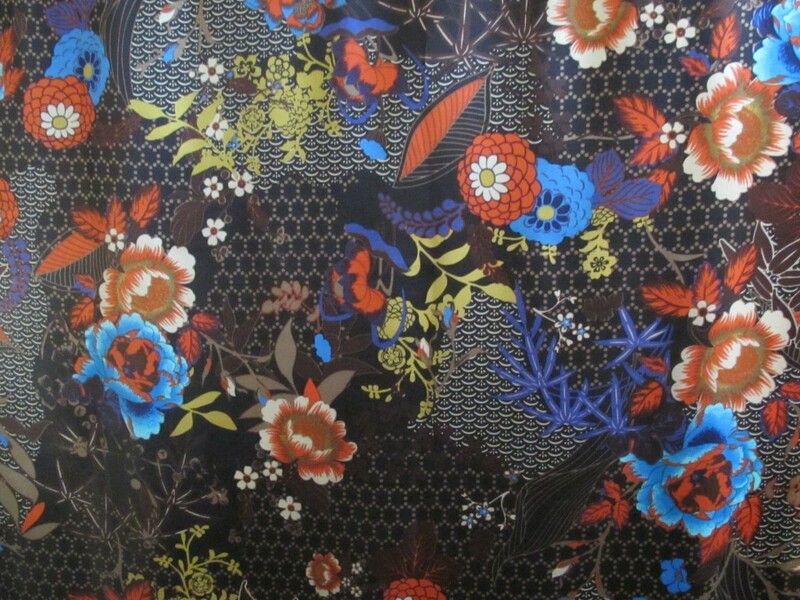 The Mums are one of the most dominant features in Japanese designs and they are exploding all over this fabric, but you also see the bamboo leaves, the background hexagons and may other traditional symbols. 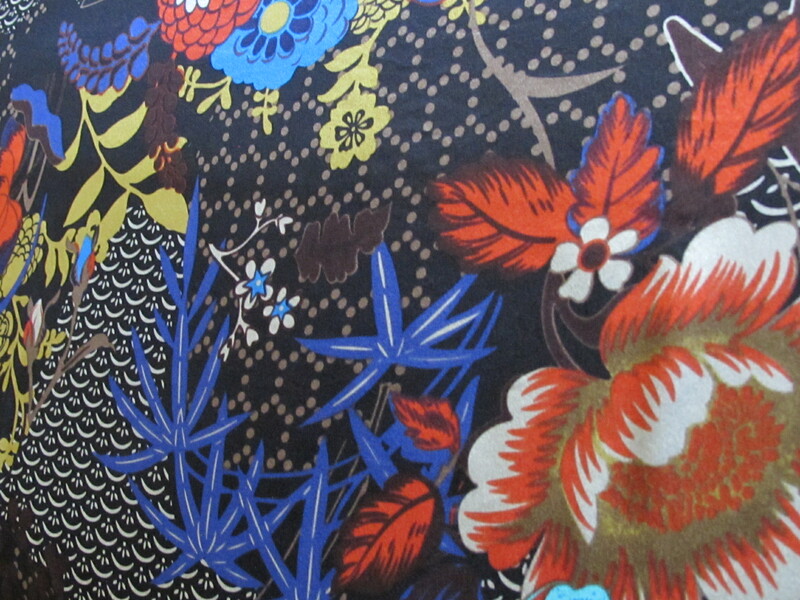 All in the most beautiful explosion of colour across this very lovely silk charmeuse fabric. It is a great time to go for prints. Fashion is having a great love affair with them that shows absolutely no sign of abating. 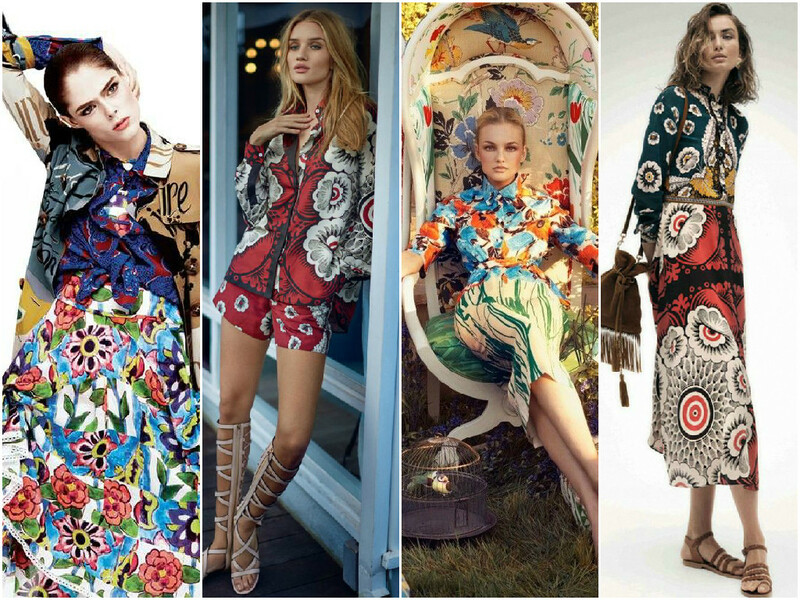 I just love the Valentino dress on the far right here. This will surely be one of the most popular dresses of the season. If you wanted to go for a look like this Valentino dress there would be sufficient yardage in this piece. This silk is beautifully soft, very fluid, completely opaque. It would be classified as a lightweight fabric but it has substance, so it will have a great weight for draping and giving body to the garment. 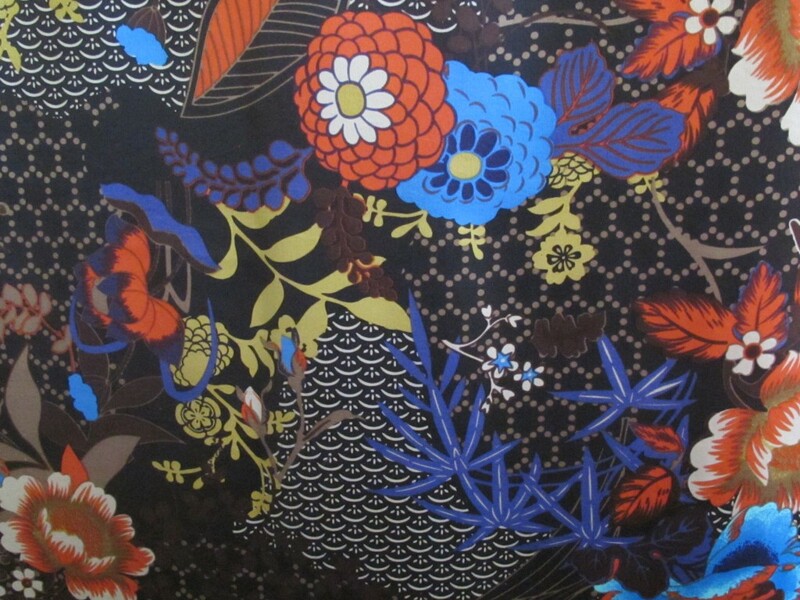 This fabric is 145cm wide and the length is 2.3 metres. 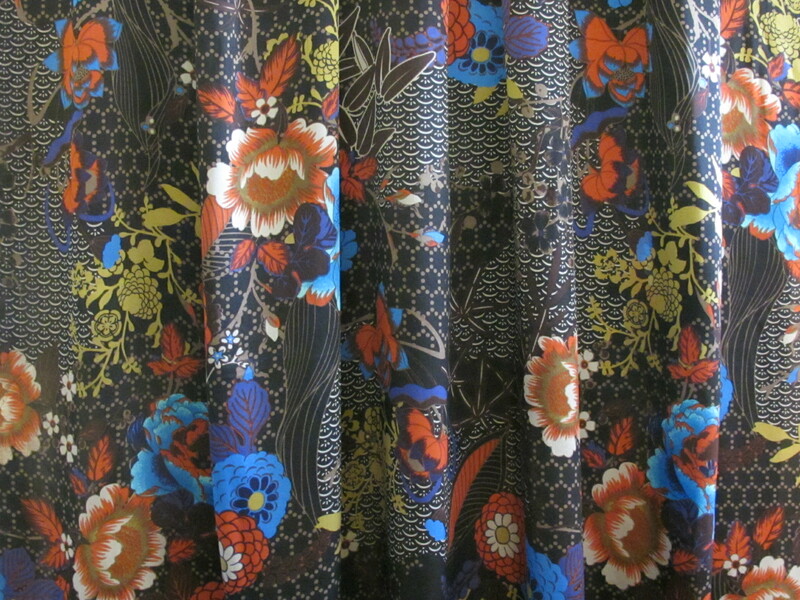 The fabric price is $25 a metre/$57.50 for the piece.